As the school year is wrapping up, Mr. Galiher expresses how his first semester at Penn has treated him. Sean Galiher (above) as the new principal of Penn High School. As the 2016-2017 school year came to a halt, the 2017-2018 school year welcomed Mr. Galiher into Penn High School with open arms. Towards the end of 2017 Penn administration announced that Mr. Steve Hope, principal for 10 years and previous art teacher of Penn High School in 1997, would be replaced by Sean Galiher. Galiher previously was the principal of Schmucker Middle School and math teacher of Penn High School. 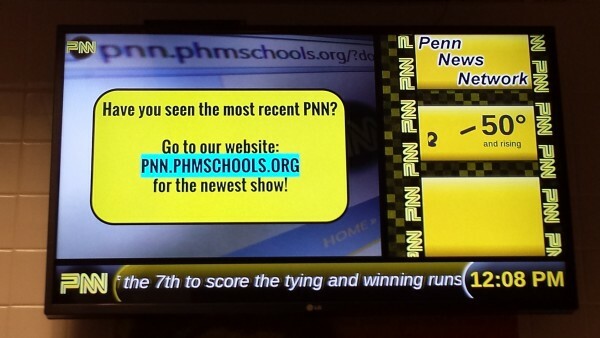 Mr. Galiher agreed to meet with PNN reporter Amara Poole and open up about how his first semester as principal of Penn High School has gone for him. Galiher then continued to voice his ultimate goal that he envisions he will be turning into a reality for students and staff at Penn.